5 people have been here. Ohio is a Midwestern state in the United States. The 34th largest state by area in the U.S. , it is the 7th-most populous with nearly 11.5 million residents. The state's capital is Columbus. The Anglicized name 'Ohio' comes from the Iroquois word ohi-yo’, meaning 'great river'. 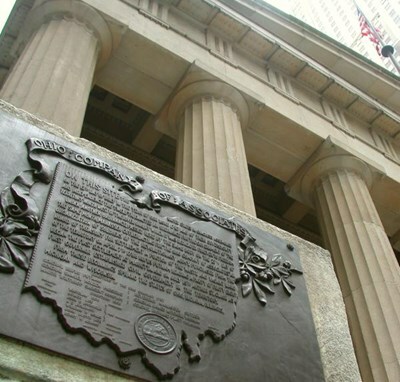 The state, originally partitioned from the Northwest Territory, was admitted to the Union as the 17th state (and the first under the Northwest Ordinance) on March 1, 1803. The Rock and Roll Hall of Fame and Museum is a museum located on the shore of Lake Erie in downtown Cleveland, Ohio, United States, dedicated to archiving the history of some of the best-known and most influential artists, producers, and other people who have in some major way influenced the music industry, particularly in the area of rock music. The museum is part of the city's redeveloped North Coast Harbor.